Academic Year - The academic year refers to the period of the year during which students attend an educational institution. The academic year for MLDS reporting (and most other educational organizations) is July 1st through June 30th. Therefore, the academic year is reported using two years. The year beginning July 1st and the year ending June 30th. For example, the academic year beginning July 1, 2007 and ending June 30, 2008 will be referred to as the 2007-2008 academic year. Calculate the annualized wage for each person in the group by dividing the total wages for the year by the number of wage quarters and multiplying by 4. Calculate the average annualized wage for the group by dividing the sum of annualized wages from Step 1 for all persons in the group by the number of group members with wages during the year. Below is a simple example of annualized wage using the steps provided above. Report Annualized Wages refers to those for which wage records exist in the State of Maryland, and does not include wages earned outside of Maryland, military employment, federal employment, or persons who are self-employed. Cohort - Cohort refers to a group of people who have something in common, established for tracking purposes over time. Combined group - The combined group includes all data available in the MLDS from students starting 9th grade in the 2008-2009 school year, and each group of students starting 9th grade all subsequent years (through the 2013-2014 school year). The chart below shows how each of the first time 9th grade students are grouped together for reporting in these dashboards. Each year of high school or year after high school is a combined group. Additional years of data will be added as it becomes available in the MLDS. Years in grey are not currently available. It is important to note that the only available data for 2015-2016 are 1st and 2nd quarter wages. This method of grouping students is different than a cohort. A cohort follows the same students over a period of time. In a cohort, students are only counted once. In these combined groups, the students in each year may differ. Additionally, students may be counted as different outcomes in different years. Though, students are only counted once in each year. Combined groups are used for this analysis because they provide a bigger population to study and compare. Completed a Degree or Certificate (Postsecondary) - This refers to students who successfully completed the requirements for a Degree or Certificate including Lower Degree Certificates, Associate Degrees, and Bachelor's Degrees. Exiter- A student who leaves an educational program in which the student was enrolled. An exiter includes a student who graduates, receives a certificate of completion, drops out, or transfers to another school or program. FARMS - Free or Reduced Price Meals under the National School Lunch Program is an indicator of a student's eligibility to receive low-cost or no-cost lunches each school day. Students may be eligible for free or reduced-price meals meals through participation in certain Federal Assistance Programs or based on their family's income below a specified poverty threshold. The education community has historically relied on free-and reduced-price meal eligibility data to identify socioeconomically disadvantaged students, schools, or areas because the NSLP targets resources to schools with students and families in need of supplementary services. 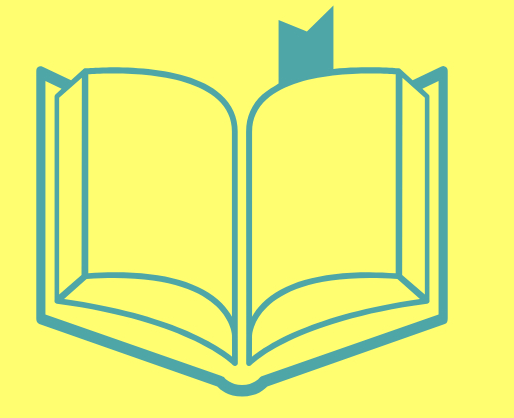 More information on how this information is used to identify socioeconomic status can be found in the Forum Guide to Alternative Measures of Socioeconomic Status in Education Data Systems. GED - The GED test is a high school equivalency test aligned to college and career readiness standards for adult education. Students are tested in 4 subjects, Reasoning Through Language Arts (RLA), Mathematical Reasoning, Science, and Social Studies. Upon passing the test, students receive a State of Maryland high school diploma. More detailed information about the GED test can be found at the can be found at http://www.gedtestingservice.com. More information on GED in Maryland can be found at http://www.dllr.state.md.us/gedmd/diploma.shtml. High School Graduate - A student who completes a program of study at the high school level in a Maryland public school and satisfies the graduation requirements for a Maryland high school diploma. High School Graduation Year - The academic year the student completed the requirements and was awarded a Maryland High School Diploma. Students may graduate at any point in time during the specified academic year. Industry - The North American Industry Classification System (NAICS) is an industry classification system used for administrative and statistical purposes by many organizations in the world. Each digit in the code is part of a series of progressively narrower categories, and the more digits in the code signify greater classification detail. Each of the industry groups reported on the dashboards is based on one or a combination of NAICS codes. Each of the industries reported on the dashboards are listed below with their related NAICS codes and descriptions. Industries in the Nursing and Residential Care Facilities subsector provide residential care combined with either nursing, supervisory, or other types of care as required by the residents. In this subsector, the facilities are a significant part of the production process and the care provided is a mix of health and social services with the health services being largely some level of nursing services. Industries in the Social Assistance subsector provide a wide variety of social assistance services directly to their clients. These services do not include residential or accommodation services, except on a short stay basis. Some establishments that provide cultural, entertainment, or recreational facilities and services are classified in other sectors. Excluded from this sector are: (1) establishments that provide both accommodations and recreational facilities, such as hunting and fishing camps and resort and casino hotels are classified in Subsector 721, Accommodation; (2) restaurants and night clubs that provide live entertainment in addition to the sale of food and beverages are classified in Subsector 722, Food Services and Drinking Places; (3) motion picture theaters, libraries and archives, and publishers of newspapers, magazines, books, periodicals, and computer software are classified in Sector 51, Information; and (4) establishments using transportation equipment to provide recreational and entertainment services, such as those operating sightseeing buses, dinner cruises, or helicopter rides, are classified in Subsector 487, Scenic and Sightseeing Transportation. Excluded from this sector are civic and social organizations; amusement and recreation parks; theaters; and other recreation or entertainment facilities providing food and beverage services. Store retailers operate fixed point-of-sale locations, located and designed to attract a high volume of walk-in customers. In general, retail stores have extensive displays of merchandise and use mass-media advertising to attract customers. They typically sell merchandise to the general public for personal or household consumption, but some also serve business and institutional clients. These include establishments, such as office supply stores, computer and software stores, building materials dealers, plumbing supply stores, and electrical supply stores. Catalog showrooms, gasoline stations, automotive dealers, and mobile home dealers are treated as store retailers. In addition to retailing merchandise, some types of store retailers are also engaged in the provision of after-sales services, such as repair and installation. For example, new automobile dealers, electronics and appliance stores, and musical instrument and supplies stores often provide repair services. As a general rule, establishments engaged in retailing merchandise and providing after-sales services are classified in this sector. The merchandise line or lines carried by the store; for example, specialty stores are distinguished from general-line stores. The usual trade designation of the establishments. This criterion applies in cases where a store type is well recognized by the industry and the public, but difficult to define strictly in terms of merchandise lines carried; for example, pharmacies, hardware stores, and department stores. Capital requirements in terms of display equipment; for example, food stores have equipment requirements not found in other retail industries. Human resource requirements in terms of expertise; for example, the staff of an automobile dealer requires knowledge in financing, registering, and licensing issues that are not necessary in other retail industries. 2. Nonstore retailers, like store retailers, are organized to serve the general public, but their retailing methods differ. The establishments of this subsector reach customers and market merchandise with methods, such as the broadcasting of "infomercials," the broadcasting and publishing of direct-response advertising, the publishing of paper and electronic catalogs, door-to-door solicitation, in-home demonstration, selling from portable stalls (street vendors, except food), and distribution through vending machines. Establishments engaged in the direct sale (non-store) of products, such as home heating oil dealers and home delivery newspaper routes are included here. Wholesalers also engage in the buying of goods for resale, but they are not usually organized to serve the general public. They typically operate from a warehouse or office and neither the design nor the location of these premises is intended to solicit a high volume of walk-in traffic. Wholesalers supply institutional, industrial, wholesale, and retail clients; their operations are, therefore, generally organized to purchase, sell, and deliver merchandise in larger quantities. However, dealers of durable non-consumer goods, such as farm machinery and heavy-duty trucks, are included in wholesale trade even if they often sell these products in single units. The Administrative and Support and Waste Management and Remediation Services sector comprises establishments performing routine support activities for the day-to-day operations of other organizations. These essential activities are often undertaken in-house by establishments in many sectors of the economy. The establishments in this sector specialize in one or more of these support activities and provide these services to clients in a variety of industries and, in some cases, to households. Activities performed include: office administration, hiring and placing of personnel, document preparation and similar clerical services, solicitation, collection, security and surveillance services, cleaning, and waste disposal services. The administrative and management activities performed by establishments in this sector are typically on a contract or fee basis. These activities may also be performed by establishments that are part of the company or enterprise. However, establishments involved in administering, overseeing, and managing other establishments of the company or enterprise is classified in Sector 55, Management of Companies and Enterprises. Establishments in Sector 55 normally undertake the strategic and organizational planning and decision making role of the company or enterprise. Government establishments engaged in administering, overseeing and managing governmental programs are classified in Sector 92, Public Administration. 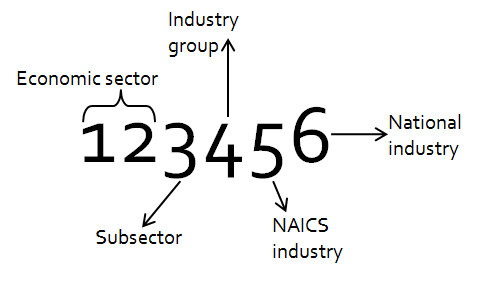 Other - Other industry classification includes all other NAICS codes, employers that had no reported industry, or the industry could not be determined. Initial postsecondary enrollments - The first time a high school graduate is found to be enrolled in a postsecondary institution as reported by the Maryland Higher Education Commission or the National Student Clearinghouse. Maryland High School Diploma - A student who completes a program of study at the high school level in a Maryland public school and satisfies the graduation requirements for a Maryland high school diploma or a Maryland High School Certificate of Program Completion. MHEC Institutions by Region - Click this link to review a list of Maryland Community Colleges, Four-Year Public Institutions and State-Aided Private Institutions, and the county and region where each institution is located. National Student Clearinghouse - A non-profit, non-governmental organization that offers access to a nationwide collection of enrollment and degree records from nearly 227 million postsecondary education student records. Clearinghouse data is incorporated into the MLDS to allow reporting on Maryland student enrollment in postsecondary education outside of Maryland. NEDP (National External Diploma Program) - NEDP is an assessment system that assesses the high school level skills of adults and out-of-school youth. The NEDP evaluates the reading, writing, math and workforce readiness skills of participants in life and work contexts. Participants meet periodically with an assessor to develop a portfolio, proving that the required skills have been obtained. Upon successful completion of the program students earn a State of Maryland High School Diploma. More detailed information NEDP can be found at https://www.casas.org/nedp. More information on NEDP in Maryland can be found at http://www.dllr.state.md.us/gedmd/diploma.shtml. Non-Completion (Never Completed a Degree) - Non-Completion refers to students who did not successfully complete the requirements for a degree or certificate and did not formally withdraw from the educational institution. Novice - Novice teachers are “teachers . . . in their first three years of teaching elementary or secondary public school students.” This definition is part of Title II of the Higher Education Act of 1965, as amended, and the U.S Department of Education’s guidance for teacher preparation program reporting. Number of Years Following High School Graduation - The number of academic years of data used in the determination of postsecondary initial enrollments. The Maryland Longitudinal Data System contains postsecondary enrollments provided from the Maryland Higher Education Commission and the National Student Clearinghouse beginning with academic year 2007-2008. Out-of-State Institution- A public, private nonprofit, or for-profit institution of postsecondary education that offers an educational program outside the state of Maryland for individuals who are at least 16 years old. Persistence - Persistence refers to students that repeatedly enroll in the educational institution without completing in the specified period of time. Private Career School- A privately owned and privately operated institution of postsecondary education that furnishes programs for the purpose of training, retraining, or upgrading skill for gainful employment as skilled, semi-skilled workers, or technicians in recognized occupations or new and emerging occupations. Private career schools may require a payment of tuition or a fee. The Maryland Higher Education Commission serves as the state's regulator of private career schools and provides additional information about the schools and programs offered. Race/Ethnicity - An individual’s self-reported race and ethnicity, which is aggregated by MLDS into the following eight (8) categories. American Indian or Alaskan Native - A person having origins in any of the original peoples of North and South America (including Central America), and who maintains a tribal affiliation or community attachment. Two or More Races - A person identifying with one or more of the above races. Unknown - A person who did not provide any information on his or her race. Retained - Retained refers to students that remain in the educational institution and neither complete a degree nor exit the institution. Withdrew from High School- Any student identified as a 12th grader in the reported academic year who, for any reason other than death, leaves school before graduation or the completion of a Maryland-approved education program and is not known to enroll in another school or State-approved program during the current school year (COMAR 13A.08.01.07) is considered withdrawn. Approval Date - date that the Governing Board approved the inclusion of the Data Element to be maintained in the System. Approval Status - identifies the Governing Board approval status for the Domain, Entity, or Element. Approval Status may either be ‘Approved’ are ‘Proposed’ for approval by the MLDS Governing Board for collection by the MLDS Center. Availability - the earliest date that the Date Element is available to the MLDS. CEDS Global ID - is the Common Education Data Standards unique identifier for the data element. Data elements in the MLDS database are mapped to the Common Education Data Standards (CEDS Version 6.0) when possible. CEDS represents a national, collaborative effort to develop voluntary, common data standards across the P-20W pipeline and provides nationally recognized naming conventions and definitions. Where data cannot be mapped to CEDS 6.0 standards, alternate domain, entity, and element names are provided, if applicable. Database - an indication of the location of the data element within the MLDS. Data elements are either in the Operational Data Store (ODS) or the Master Data Management (MDM) database. The MDM database contains confidential and sensitive information on student and workers and is restricted to specified authorized staff of the MLDS Center. The ODS contains sensitive, de-identified information on students and workers and is restricted to authorized staff of the MLDS Center. Description- a description of the Data Element that provides additional information related to how the data element is collected, used, or defined in the System. Domain- Domains indicate the sectors that are part of the MLDS: primary and secondary education (PK12), postsecondary, and workforce. The Data Inventory contains both internal and external domains. Internal domains relate to the MLDS partner agencies that provide student and workforce data directly to the MLDS through a memorandum of understanding. MLDS partners include: Maryland State Department of Education (MSDE), Maryland Higher Education Commission (MHEC), and Maryland Department of Labor, Licensing and Regulation (DLLR). External domains are publicly available information or are provided through a memorandum of understanding with the external entity. Data from external sources are used to enhance the data received from internal sources, and provide additional context to the data in the System. Element Name - describes the data element provided to the MLDS. These are attributes of the Entity. This may be the name used by the partner agency, or a standard name used by CEDS. Not yet provided to the MLDS. Collected by the partner agency for their internal use but has limited or no use to the MLDS. Source - indicates the origin of the data for the specific Domain. This may be the name of the data collection administered by the agency or the table name. The source is specific to the agency providing the data to the MLDS.